How to play with the German shepherd ? HomeHow to play with the German shepherd ? German shepherd dogs are known as quick learner which means that it is easy to make him a trained German shepherd or a perfect guard dog. A German shepherd is very intelligent and we can train him in a very short period time. As an owner or master of a German shepherd, You should understand how to play and train so that he can learn different commands and other things. 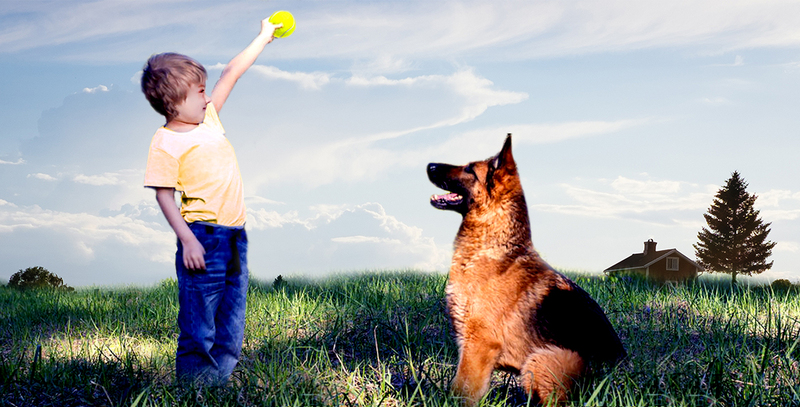 To check its playing ability you have to take a test of him to throw a ball in front of him of about 10 meters in distance if your German shepherd goes near the ball but do not come back with that ball which is thrown by you. It means you have to decrease the distance between the ball and German shepherd. After throwing the ball for a short distance and your German shepherd fetch the ball and puts in your hand. It means that he is ready to play and now you can start playing with him at some pinpoint distance. Another way, to play with him is to start playing with his special toy. You have to command your German shepherd to pick his lovable toy. You can observe that he is more likely to pick his lovable toy and he is more focused on this training session. In this session, your German shepherd is moving quickly to learn object as compared with the previous session. German shepherd protection dog is good for maintaining a relationship between him and the master. German shepherd protection dog is a very social creature. We play with him to develop and maintain a relationship and whenever we play with him we share a bond of love affection with him. You have to teach your German shepherd pup to obey your commands and follow your instructions which are taught by you in games. Your German shepherd enjoys your rules and advice. When your German shepherd is learning everything and following all your commands which are taught by you should appraise him with some reward to improve his motivation. German shepherd dog can be trained by exercise, play games, running, catch the toy. A German shepherd is a quick learner; he can learn and understand every part of training very easily and efficiently. You have to control your German shepherd in all situations when he is very excited in some games such as climbing the height. You have to command on your dog how to control him and teach him more about the activities. So, this is all the way you can play with him. Playing with German shepherd can improve physical as well as the mental health of your dog too.